On par with Bandhavgarh National Park for excellent tiger spotting and wildlife in India, we’re thrilled to now be offering Tadoba National Park and the new, award-winning Svasara Jungle Lodge in the central/west regions of India. 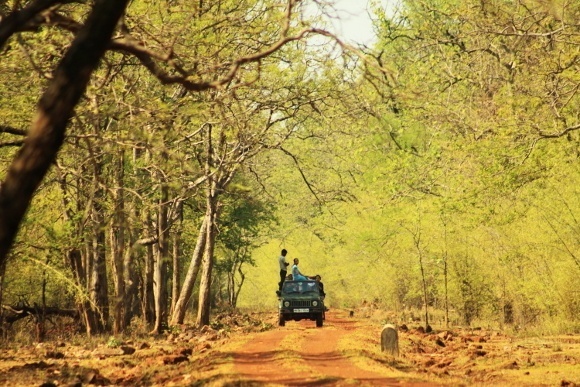 There are four gates to the Tadoba-Andhari Tiger Reserve, which is a two hour drive from Nagpur. Aside from tigers nature enthusiasts can enjoy spotting the 195 bird species as well as the many other species found in the park including leopards, wild dogs, gaur (Indian bison) and the nilgai (blue bull). Svasara Jungle Lodge is located just a stone’s throw from Kolara Gate, considered the best location for viewing tigers and wildlife in India, and thus making it the perfect launch pad for an ultimate tiger safari in India! Set within 10 acres overlooking Tadoba hills and the nearby forest you can expect gorgeous views. Add to that the luxury and chic interiors of this jungle eco-lodge and this becomes a truly enchanting experience. We adore the boutique nature of this luxurious lodge: it boasts 12 spacious suites each with their own private sitting courtyard. Families can also enjoy inter-connected rooms. If waking up at dawn for a morning safari doesn’t create an appetite then the lodge’s seasonal and delicious cuisine certainly will! The fresh ingredients from the lodge’s own small organic farm and local farms make this the perfect destination to receive a true taste of Central India. Guests will soon be able to enjoy picking their oranges fresh from the orchard. You’ll find that the national park is closed on Tuesdays, but don’t despair as there’s plenty to do. Amble through the lodge’s nursery of indigenous jungle trees and plants or visit a local village. By night, enjoy an open air jungle cinema or spend time stargazing around the campfire. There are also various sites of historical and religious significance for some interesting day trips, including 200 year old Buddhist caves, an architecturally beautiful temple complex brimming with Hindu icons and a group of ancient Jain temples. 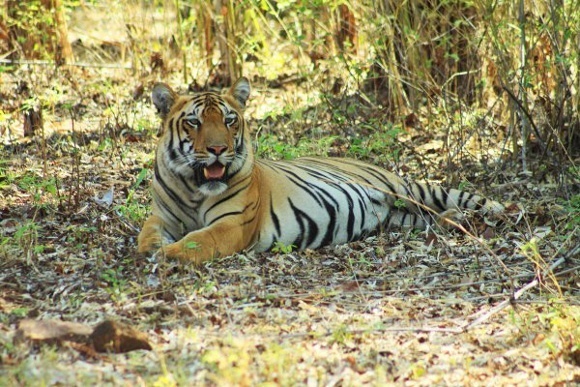 Tadoba-Andhari Tiger Reserve is closed from the beginning of May until the end of September due to the summer and monsoon seasons. 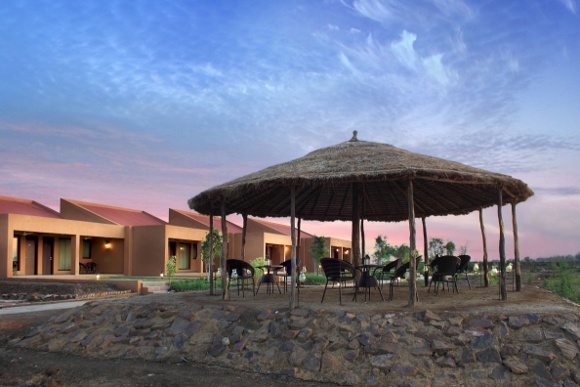 Design your safari in India at Svasara Lodge in Tadoba with Enchanting Travels! Truly wonderful information about TATR..